Roving, pure merino wool. For spinning or felted. 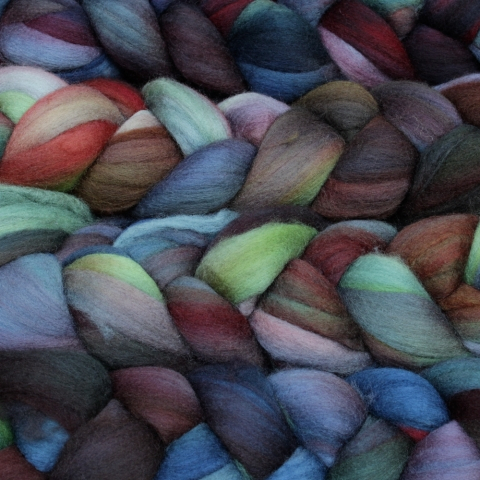 Hand dyed Nube means cloud in Spanish, we call it Nube because it's malabrigo's merino. According to EU-Textilkennzeichungsverordnung: 100 % Wool.